We are a husband and wife wedding photography team. We find the photographic beauty in every part of your Berkshire wedding, from the early parts of the day as you get ready, to the pageantry of your ceremony, and into the energy and excitement of your reception. We will capture the many emotions as you and your family and friends come together. Throughout the proceedings, we will be capturing the romance, sincerity, intimacy and closeness of your special day. Moments you and your loved ones will enjoy for years to come. You can see the formal group photographs of the happy bride and groom with their bridal party. These photographs do not have to take long to capture, and when combined with some fun shots everyone enjoys themselves. 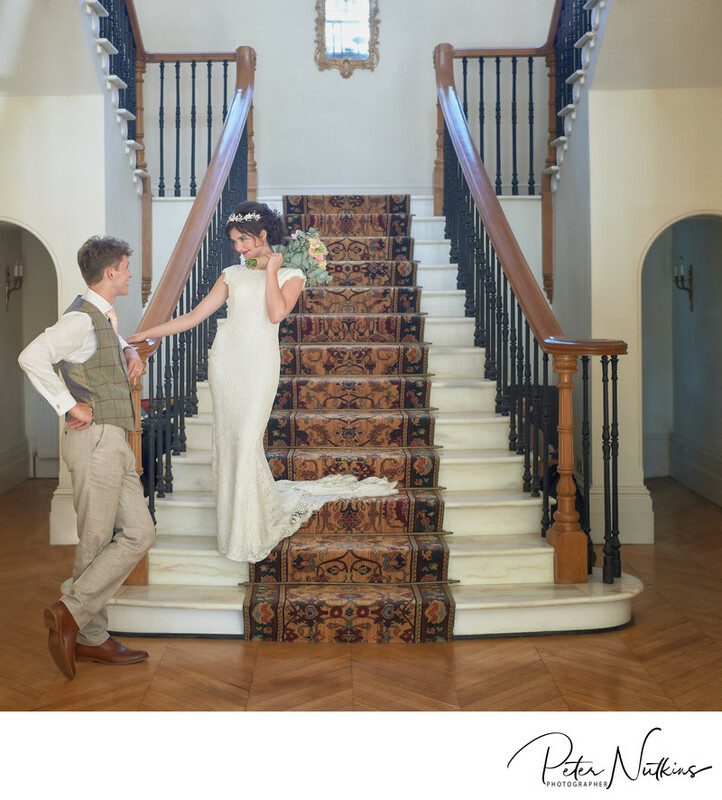 The beautiful staircase was the ideal setting for the group photographs from this wedding in Berkshire. Capturing a directive style wedding photo is the right thing to do during these formal moments in the day. Finding candid expressions and emotion is the key to getting photographs that the newly married couple will treasure forever.